The Dressage Foundation has no dues-paying members. We depend solely on support from charitable contributions and earnings from our investment reserves. To do "good," we must first do "well." The Dressage Foundation is a non-profit, tax-exempt organization, to which donations are fully tax-deductible to the extent allowed by law. Donations are accepted by credit card through the form below, or scroll down to see other ways that you can provide support to The Dressage Foundation. Gifts of any amount are greatly appreciated! Many companies have a “matching gifts” program for their employees, spouses or even retired employees. This can be an invaluable resource for you and The Dressage Foundation! If your company offers a matching gifts program, be sure to use it! The first place to check is with your Human Resources department. A list of some companies that offer matching gifts programs is posted here. Naturally, this information is always changing, so please be sure to check with your company for details! 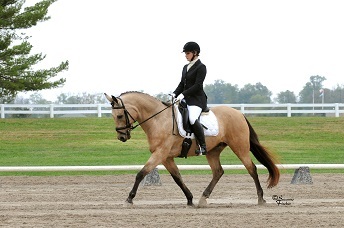 Tax-advantaged ways in which you can help Dressage, and help yourself, at the same time. Contact Jenny Johnson at (402)434-8585 or jenny@dressagefoundation.org for more information. For more information, call The Dressage Foundation, 402-434-8585. We will be glad to help you.